aning ‘myself’ in Maa). We have known Nanu since her birth in May 2009, to two other favorites of ours, Nosioki and Lomunyak. Nanu was a curious cub, bringing laughter to all who observed her as she delightfully harassed her father. 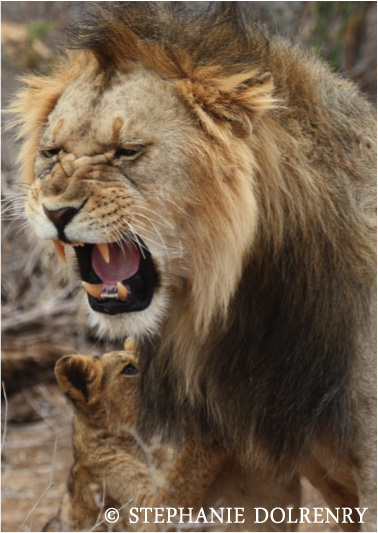 When she was less than two years old, Nosioki moved with her sister, Nasieku and their cubs to the northern reaches of the Lion Guardians area. Here they often went to other areas where our Guardians do not operate, and sadly, this led to the death of Nosioki in 2012. At that time, Nanu was off on her own with two of Nasieku’s cubs. 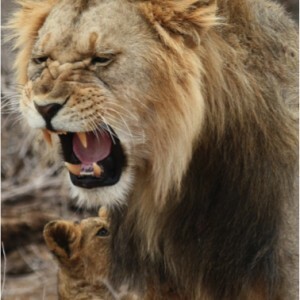 She mated with Martii, Nasieku’s son, and had two cubs with him. She has been extremely secretive and hard to monitor over the past few years, but we have been able to catch them on their brief visits to the northern reaches of Olgulului and Eselenkei. Recently, we responded to a report made by Guardian Lelian, of a male and a female together and the female was Nanu. Unfortunately, we were unable to see the male. The next day, Lelian reported they had moved south towards the area where Nanu was born and raised. 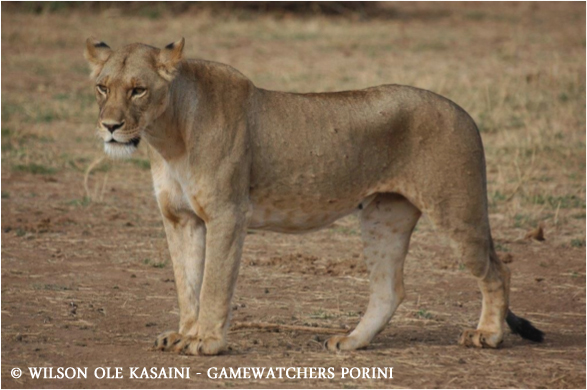 Then it was reported to us by Porini guides that an unknown lioness was spotted with a male at their waterhole. They sent photos and sure enough Nanu had returned. She is now with Lorngojiyne, one of the mysterious males who came last year, and together with his brother, Loosinkiron, has managed to take over all the females of southern Eselenkei. In fact by taking Nanu away from Martii and bringing her back to the Selenkay Conservancy, they have now successfully conquered all of Eselenkei. We are excited to have her safely within the Lion Guardians areas again and are hoping we will find her with new cubs in the upcoming months.